"Wiki format" redirects here. For the type of markup language, see Wiki markup. A wiki ( i/ˈwɪki/ WIK-ee) is a website that provides collaborative modification of its content and structure directly from the web browser. In a typical wiki, text is written using a simplified markup language (known as "wiki markup"), and often edited with the help of a rich-text editor. A wiki is run using wiki software, otherwise known as a wiki engine. There are dozens of different wiki engines in use, both standalone and part of other software, such as bug tracking systems. Some wiki engines are open source, whereas others are proprietary. Some permit control over different functions (levels of access); for example, editing rights may permit changing, adding or removing material. Others may permit access without enforcing access control. Other rules may also be imposed to organize content. A wiki engine is a type of content management system, but it differs from most other such systems, including blog software, in that the content is created without any defined owner or leader, and wikis have little implicit structure, allowing structure to emerge according to the needs of the users. The online encyclopedia project Wikipedia is by far the most popular wiki-based website, and is in fact one of the most widely viewed sites of any kind in the world, having been ranked in the top ten since 2007. Wikipedia is not a single wiki but rather a collection of hundreds of wikis, one for each language. There are at least tens of thousands of other wikis in use, both public and private, including wikis functioning as knowledge management resources, notetaking tools, community websites and intranets. The English-language Wikipedia has the largest collection of articles; as of September 2016, it had over five million articles. 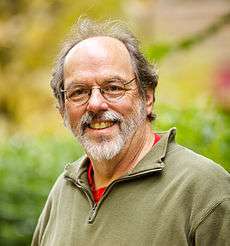 Ward Cunningham, the developer of the first wiki software, WikiWikiWeb, originally described it as "the simplest online database that could possibly work". 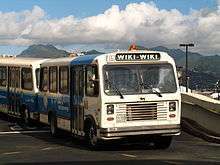 "Wiki" (pronounced [ˈwiki][note 1]) is a Hawaiian word meaning "quick". A wiki enables communities of editors and contributors to write documents collaboratively. All that people require to contribute is a computer, Internet access, a web browser and a basic understanding of a simple markup language (e.g., HTML. A single page in a wiki website is referred to as a "wiki page", while the entire collection of pages, which are usually well-interconnected by hyperlinks, is "the wiki". A wiki is essentially a database for creating, browsing, and searching through information. A wiki allows non-linear, evolving, complex and networked text, while also allowing for editor argument, debate and interaction regarding the content and formatting. A defining characteristic of wiki technology is the ease with which pages can be created and updated. Generally, there is no review by a moderator or gatekeeper before modifications are accepted and thus lead to changes on the website. Many wikis are open to alteration by the general public without requiring registration of user accounts. Many edits can be made in real-time and appear almost instantly online. However, this feature facilitates abuse of the system. Private wiki servers require user authentication to edit pages, and sometimes even to read them. Maged N. Kamel Boulos, Cito Maramba and Steve Wheeler write that the open wikis produce a process of Social Darwinism. " 'Unfit' sentences and sections are ruthlessly culled, edited and replaced if they are not considered 'fit', which hopefully results in the evolution of a higher quality and more relevant page. While such openness may invite 'vandalism' and the posting of untrue information, this same openness also makes it possible to rapidly correct or restore a 'quality' wiki page." Some wikis keep a record of changes made to wiki pages; often, every version of the page is stored. This means that authors can revert to an older version of the page, should it be necessary because a mistake has been made, such as the content accidentally being deleted, or the page has been vandalized to include offensive or malicious text or other content. Many implementations, like MediaWiki, allow users to supply an edit summary when they edit a page; this is a short piece of text summarizing the changes they have made (e.g., "corrected grammar" or "fixed formatting in table"). It is not inserted into the article's main text, but is stored along with that revision of the page (often in a log or "history" window), allowing users to explain what has been done and why, and enabling other users to see which changes have been made; this is similar to a log message when making changes to a revision-control system. Cunningham was, in part, inspired by Apple's HyperCard, which he had used. Hypercard, however, was single-user. Apple had designed a system allowing users to create virtual "card stacks" supporting links among the various cards. Cunningham developed Vannevar Bush's ideas by allowing users to "comment on and change one another's text." Cunningham says his goals were to link together the experiences of multiple people to create a new literature to document programming patterns, and to harness people's natural desire to talk and tell stories with a technology that would feel comfortable to those not used to "authoring". Malware can also be problem for wikis, as users can add links to sites hosting malicious code. For example, a German Wikipedia article about the Blaster Worm was edited to include a hyperlink to a malicious website. Users of vulnerable Microsoft Windows systems who followed the link would be infected. A countermeasure is the use of software that prevents users from saving an edit that contains a link to a site listed on a blacklist of malware sites. The English Wikipedia has the largest user base among wikis on the World Wide Web and ranks in the top 10 among all Web sites in terms of traffic. Other large wikis include the WikiWikiWeb, Memory Alpha, Wikivoyage and Susning.nu, a Swedish-language knowledge base. Medical and health-related wiki examples include Ganfyd, an online collaborative medical reference that is edited by medical professionals and invited non-medical experts. Many wiki communities are private, particularly within enterprises. They are often used as internal documentation for in-house systems and applications. Some companies use wikis to allow customers to help produce software documentation. A study of corporate wiki users found that they could be divided into "synthesizers" and "adders" of content. Synthesizers' frequency of contribution was affected more by their impact on other wiki users, while adders' contribution frequency was affected more by being able to accomplish their immediate work. from a study of 1000s of wiki deployments,Jonathan Grudin concluded careful stakeholder analysis and education are crucial to successful wiki deployment. RegioWikiCamp (2009-2013), a semi-annual unconference on "regiowikis", or wikis on cities and other geographic areas. ↑ mauimapp.com. Hawaiian Words; Hawaiian to English [Retrieved September 19, 2008]. 1 2 3 4 5 6 7 Black, Peter; Delaney, Hayden; Fitzgerald, Brian (2007), Legal Issues for Wikis: The Challenge of User-generated and Peer-produced Knowledge, Content and Culture (PDF), 14, eLaw J. 1 2 3 Naomi, Augar; Raitman, Ruth; Zhou, Wanlei (2004). "Teaching and learning online with wikis". Proceedings of Beyond the Comfort Zone: 21st ASCILITE Conference. CiteSeerX 10.1.1.133.1456 . ↑ Cunningham, Ward (November 1, 2003). "Correspondence on the Etymology of Wiki". 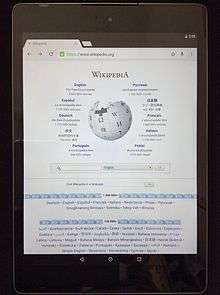 WikiWikiWeb. Retrieved March 9, 2007. ↑ Cunningham, Ward (February 25, 2008). "Wiki History". WikiWikiWeb. Retrieved March 9, 2007. 1 2 Bill Venners (October 20, 2003). "Exploring with Wiki: A Conversation with Ward Cunningham, Part I". artima developer. Retrieved December 12, 2014. ↑ Cunningham, Ward (July 26, 2007). "Wiki Wiki Hyper Card". WikiWikiWeb. Retrieved March 9, 2007. ↑ Diamond, Graeme (March 1, 2007). "March 2007 update". Oxford English Dictionary. Retrieved March 16, 2007. ↑ "Smallest Federated Wiki". wiki.org. Retrieved September 28, 2015. ↑ "Security". Assothink. Retrieved 2013-02-16. ↑ Hicks, Jesse (February 18, 2014). "This machine kills trolls". The Verge. Retrieved September 7, 2014. ↑ "Alexa Top 500 Global Sites". Alexa Internet. Retrieved April 26, 2015. ↑ Müller, C.; Birn, L. (September 6–8, 2006). "Wikis for Collaborative Software Documentation" (PDF). Proceedings of I-KNOW '06. ↑ Grudin, Jonathan (2015). "Wikis at work: Success factors and challenges for sustainability of enterprise wikis - Microsoft Research". research.microsoft.com. Retrieved June 16, 2015. ↑ HomePage [Retrieved May 8, 2012]. ↑ Ways to Wiki: Project Management; 2010-01-04. ↑ Lombardo, Nancy T. (June 2008). "Putting Wikis to Work in Libraries". Medical Reference Services Quarterly. 27 (2): 129–145. ↑ "SusanHu's FOIA Project UPDATE". Retrieved 2013-06-25. ↑ Cubric, Marija (2007). "Analysis of the use of Wiki-based collaborations in enhancing student learning". University of Hertfordshire. Retrieved April 25, 2011. ↑ Roth, C.; Taraborelli, D.; Gilbert, N. (2008). "Measuring wiki viability. An empirical assessment of the social dynamics of a large sample of wikis". The Centre for Research in Social Simulation: 3. Figure 4 shows that having a relatively high number of administrators for a given content size is likely to reduce growth. ↑ Roth, C.; Taraborelli, D.; Gilbert, N. (2008). "Measuring wiki viability. An empirical assessment of the social dynamics of a large sample of wikis". The Centre for Research in Social Simulation. ↑ Summit.atlassian.com. Atlassian Summit homepage [Retrieved June 20, 2011]. ↑ Semantic-mediawiki.org. SMWCon homepage [Retrieved June 20, 2011]. ↑ Tiki.org. TikiFest homepage [Retrieved June 20, 2011]. ↑ Wiki.regiowiki.eu. European RegioWikiSociety homepage; June 10, 2011 [Retrieved June 20, 2011]. ↑ Conservapedia Commandments; May 15, 2010 [Retrieved July 24, 2010]. ↑ Walsh, Kathleen M.; Oh, Sarah (February 23, 2010). "Self-Regulation: How Wikipedia Leverages User-Generated Quality Control Under Section 230".